Jack Kerouac’s "On the Road " deeply inspired Soon Park, iKamper’s founder. 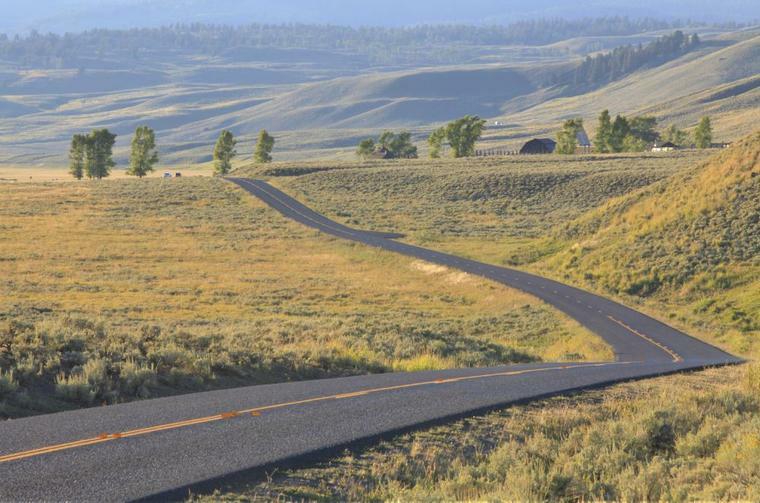 The themes of adventure, discovery, freedom, and passion deeply resonated with Soon, who traveled all over the US between 2009 and 2012 with his family. Soon met incredible people throughout his travels and visited beautiful locations, which is the origin of iKamper’s slogan “Love People, Love Nature”. 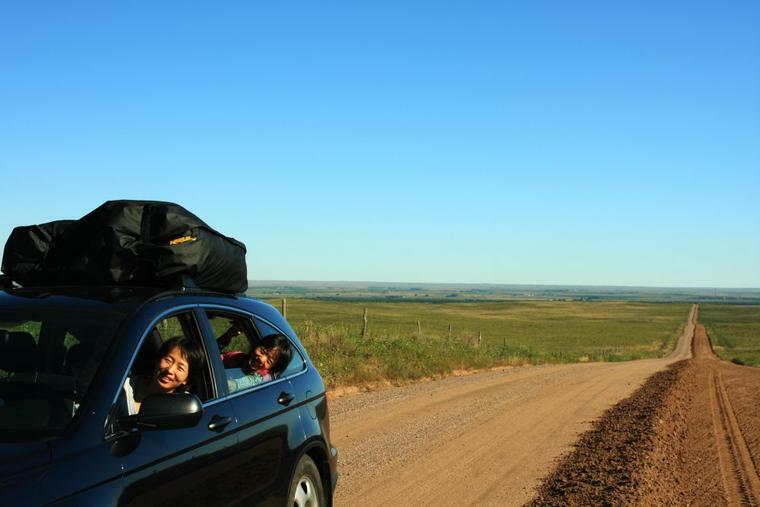 "With our shabby trailer, we drove 58,000 miles around North America. The trip was not always filled with wonder and excitement: we had to change flat tires three times on a road where cars passed by only every hour or so. However, we witnessed the kind smiles coming from the poorest people in the richest country, and we danced under the pouring light of galaxies in the desert. Imagination became reality, freedom was understood, and mutual understanding between humans and nature all gathered in a single place during our trip." Soon Park, iKamper’s founder and CEO, is a professional guitar player, self-taught engineer, business owner, and serial entrepreneur. He sold his snowboarding equipment shop in 2008 and decided to move from his homeland of South Korea to the US with his wife and two daughters. During their time in the US, they spent over 2 years on the road exploring, camping, and discovering. After returning to South Korea in 2012, Soon founded iKamper. 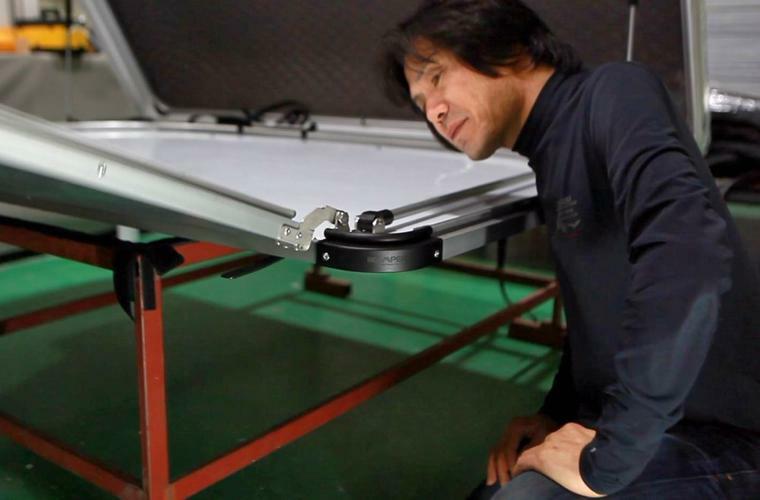 His fascination with tree houses as a child and the difficulties he experienced while camping on the road let him to develop iKamper’s first roof top tent, the Hard Top One, in 2014. Given Korea’s smaller market size, Soon always had his eyes on the global market. Shortly after posting the first Skycamp on Facebook, it got picked up by major outlets such as Rockets Are Cool, GiGadgets, and Insider Design, quickly reaching over 100 million views. In January 2017, Nathan Hendrix joined the iKamper team to facilitate access to the global market. 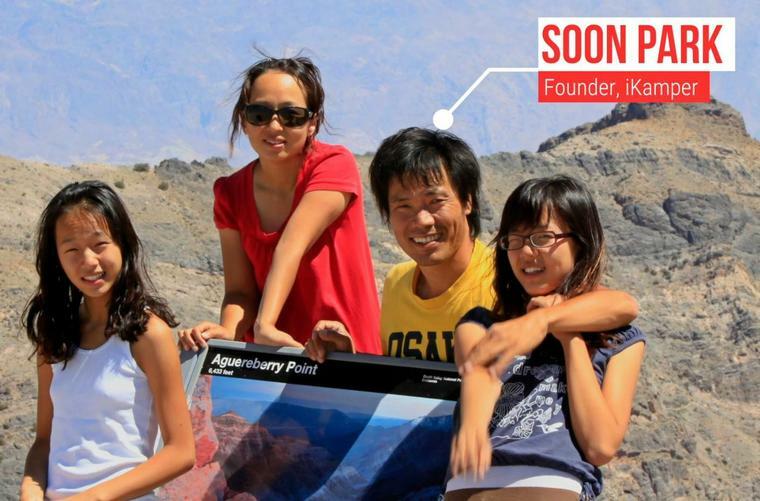 Sharing Soon’s passion for travel and adventure, his goal is to grow the brand internationally. In February 2017, iKamper’s most innovative roof top tent yet, Skycamp, launched on Kickstarter and quickly became the most successful tent project ever on crowdfunding, raising USD $2.37 million over 45 days. Throughout the rest of 2017, more than one thousand Skycamps were shipped to 46 countries around the world. In January 2018, the revolutionary EatOut kitchen-in-a-box was successfully funded and was placed in the top 1% of campaigns on Kickstarter. Production is set for March 2018.
iKamper is a small, family-owned, company with big dreams: our goal is to make iKamper into a leading global brand, one that focuses on innovation and quality. All of iKamper’s products are the creation of its founder, Soon Park, a self-taught engineer who enjoys bringing his creations to life. The Skycamp shook the roof top tent industry, becoming the most successful tent project ever on Kickstarter, raising USD $2.37 million. 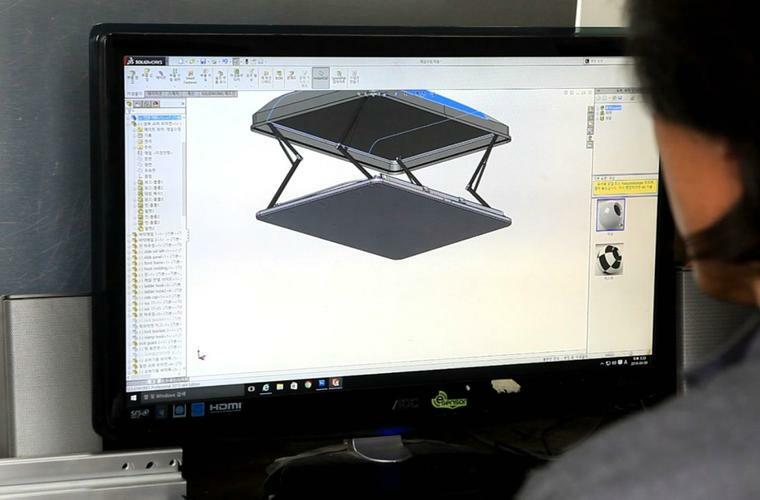 Its innovative design, comfortably sleeping 3-4 people and allowing set up in less than a minute, led to its success: within 6 months of producing the first unit, Skycamps were shipped to 46 countries and sold at dealers in 14 territories. The most satisfying feeling is seeing happy iKamper customers around the world, traveling and sharing pictures of their adventures. The ikamper has brought camping and the outdoors back into our lives ! We haven't camped for over 10 years and are so happy with our Ikamper, now we go a few times a month! I’m very impressed with the Skycamp! The quality is very good and has some wonderful features that I haven’t seen before on a RTT. Our family of four, a three year old, a four year old, my wife and I, went camping in a way we had never thought would be possible for a family with very young children. Because of the Skycamp’s ease of use, we were able to camp at a different campsite every night. I’m so glad I chose the iKamper. It fits my lifestyle to a “T”. It is convenient and totally applicable to the Northwest lifestyle. I’ve sold my tent trailer and am completely happy with my purchase. Great job guys, you have made a great product that helps bring families together.